Minneapolis-based Bite Squad has announced an expansion of the service in the southern suburbs of its home market, as well as a corresponding charitable partnership with Second Harvest Heartland—Minnesota’s largest hunger-relief organization. 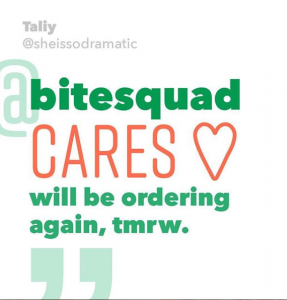 Bite Squad has initiated a FundRazr campaign to raise funds for Second Harvest Heartland to help support people in the local community who face hunger every day. The campaign runs from July 5 through July 19, 2018. Bite Squad’s FundRazr campaign, “Help Bite Squad Feed the Hungry,” asks area residents to donate funds to Second Harvest Heartland, and in turn the company pledges to donate one dollar for every donation received. Second Harvest Heartland can provide three meals for the hungry with every $1 donated. When new customers in the new Bite Squad delivery areas of Eagan, Apple Valley, Burnsville, Bloomington, Savage and Rosemount donate to the Help Bite Squad Feed the Hungry campaign, they will receive special offers to try the food delivery service, ranging from free delivery, to $10 or $15 off, to a $40 Bite Squad gift card. Bite Squad’s expansion to the southern suburbs is an extension of their 2017 expansion to the city’s western suburbs. The new service area offers delivery from 60+ area restaurants, including local favorites such as Mediterranean Cruise Cafe, Hiko Sushi, Ze’s Diner, Coconut Thai, India Palace, Shogun Sushi and Hibachi, Burger Jones and Fiesta Cancun Mexican Grill & Bar, as well as national chains like: Chick-fil-A, Dickey’s Barbecue Pit and Subway. Delivery is available within a seven mile radius of participating restaurant partners. 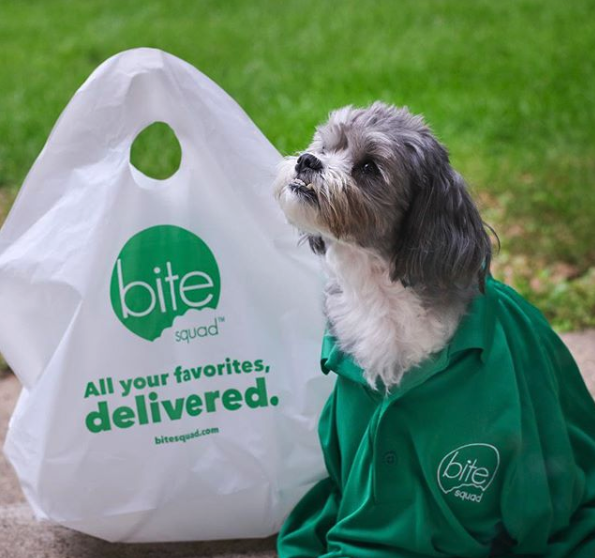 Customers in the Eagan, Apple Valley, Burnsville, Bloomington, Savage and Rosemount delivery areas can order Bite Squad seven days a week, from 10:30 a.m. to 10:00 p.m. Orders can be placed on the Bite Squad app or website, www.bitesquad.com. Delivery fees start at $2.99.